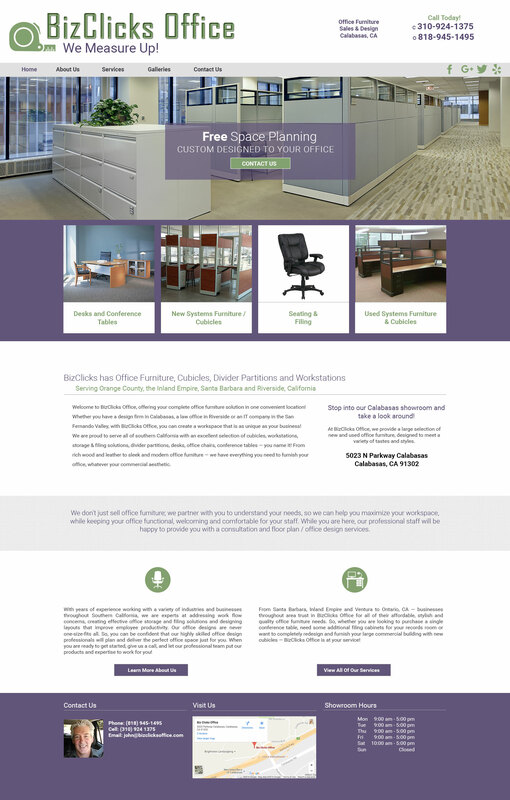 Welcome to BizClicks Office, offering your complete office furniture solution in one convenient location! Whether you have a design firm in Calabasas, a law office in Riverside or an IT company in the San Fernando Valley, with BizClicks Office, you can create a workspace that is as unique as your business! We are proud to serve all of southern California with an excellent selection of cubicles, workstations, storage & filing solutions, divider partitions, desks, office chairs, conference tables — you name it! From rich wood and leather to sleek and modern office furniture — we have everything you need to furnish your office, whatever your commercial aesthetic.